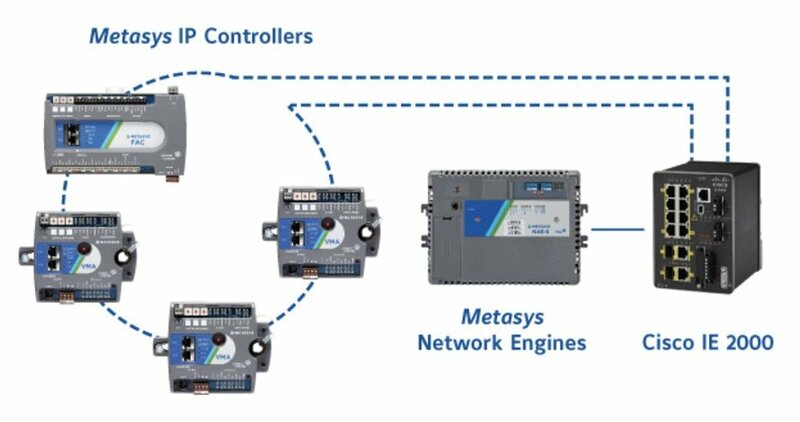 Johnson Controls is one of the largest producers of electronic hardware including much of the equipment needed to control the systems of a building. The company, headquartered in Ireland, is old and massive as they employ 170,000 people on every continent. Not only are they one of the biggest manufacturers of building system components they are also one of the most advanced. By some reports their products are installed in more than forty percent of all commercial buildings in Singapore, a country that always tops the smart cities lists and is using its real estate to show the world its tech chops. They have an even greater interest in the real estate market since they merged with Tyco in 2016 and spun off their auto parts division in order to focus on HVAC, fire and security products. Now they are showing that they plan on creating a fully integrated technology solution to go with their advanced hardware. They recently rolled out their new building automation system called Metasys. It features a clean user interface, some higher capacity sensors and controllers and a new ring topography built in alliance with Cisco. I am not afraid to admit that I had to do some research about what exactly “ring topography” is, even though the website told me that its “controllers deployed in a circular data path—less expensive than a star configuration, more resilient than a daisy chain.” So, it turns out that there are various options for sending data between multiple devices, each with their own strengths and weaknesses. A ring topography puts all of the data in a directional loop. This means that every device is connected and communicates with only two other devices. The advantages of this are that additional nodes can easily be added without affecting performance and a server doesn’t need to be in the middle of each connection. Also, because the data is only flowing one way, it reduces the change of packet collisions, which apparently is a thing. Johnson Controls has created an integrated system for building and facilities managers which makes a lot of sense when you think that their parts are already installed on many of the buildings they hope to now help manage. The technology industry likes to create products that are “sticky.” In other words, once you start using them it is hard, costly or just annoying to switch. When thinking about it this way Johnson Controls is already in the building management market in a very sticky way. Now they have to prove that they can bring the entire stack together, interface and all, to become more integral to the job of maintaining a building.